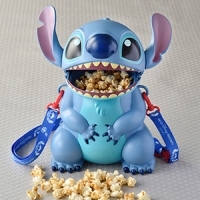 Of all the Disney parks in the world, no park takes popcorn as seriously as Tokyo Disney Resort. 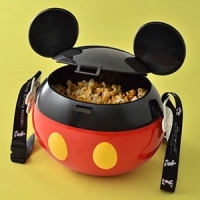 ♦ This post covers the popcorn at Disneyland. 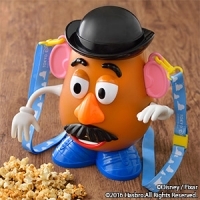 For Disney Sea, head over to Tokyo DISNEYSEA: Your Complete Guide to Park Popcorn. 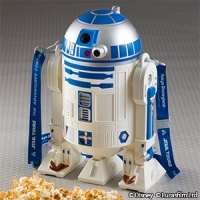 If there’s one thing you want to be particularly peckish for at the Tokyo theme parks, make it popcorn. It is a truly unique snacking experience that you can only find at TDR given its scale. 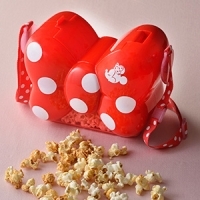 Not only are there a variety of flavors (with a selected few exclusive to a particular park), there are just as many types of popcorn buckets to carry your popcorn in. 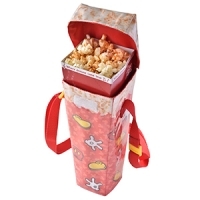 The “regular box” option has your popcorn served in a disposable paper box. 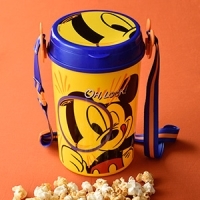 Purchasing a popcorn bucket, on the other hand, allows you to get refills at a cost of 500 yen which is a great option for families and groups. You can refill the bucket at any popcorn wagon. It is not always necessary to purchase a bucket each time you go to the parks as you are allowed to bring previously purchased buckets. Furthermore, should you have a bit of leftover, you can still get a refill as they will simply toss out the remainder and give you the new bucket load. Here you’ll find everything you need to know about the wonderful world of popcorn including which flavours are available at a given park, where to find them, and which popcorn buckets are stationed at that popcorn wagon. Your ticket to the world of popcorn starts at the popcorn wagon. 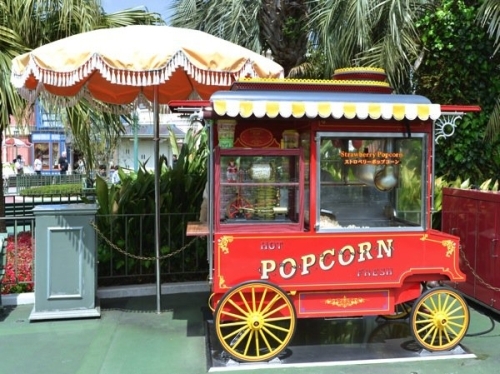 There will be at least two popcorn wagons in any themed land. Here’s where it gets interesting – no two popcorn wagons are alike. Each popcorn wagon tends to carry one flavor and one souvenir bucket unique to its location. 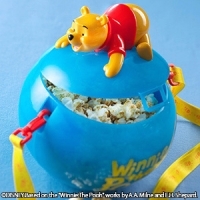 What this means is that if you want honey popcorn, you can only get that at Disneyland’s Pooh’s Hunny Hunt attraction. And if you want a Little Green Man bucket, that can only be found at Disney Sea’s Port Discovery area. 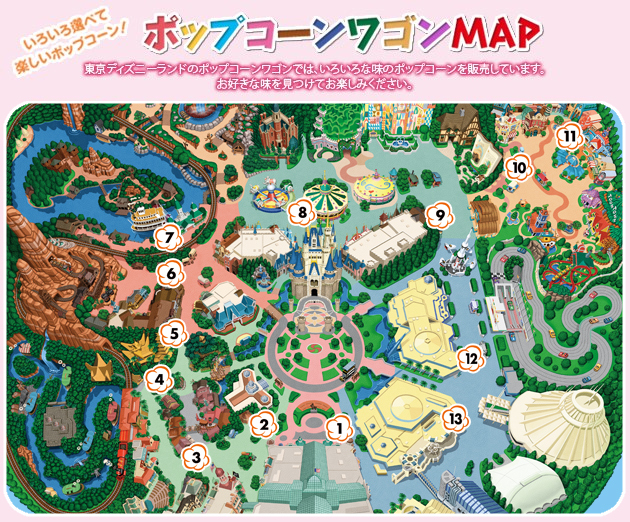 ♦　Below is a location map of all the popcorn wagons at Tokyo Disneyland. ♦　A list of the popcorn flavours and popcorn buckets at a given wagon. 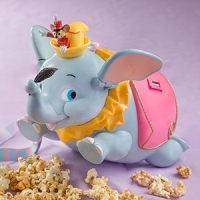 Honey – [Fantasyland] Pooh’s Hunny Hunt ♦ Disneyland exclusive! 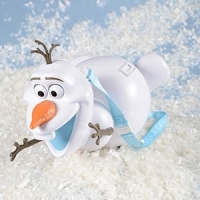 Images © Disney. All rights reserved.